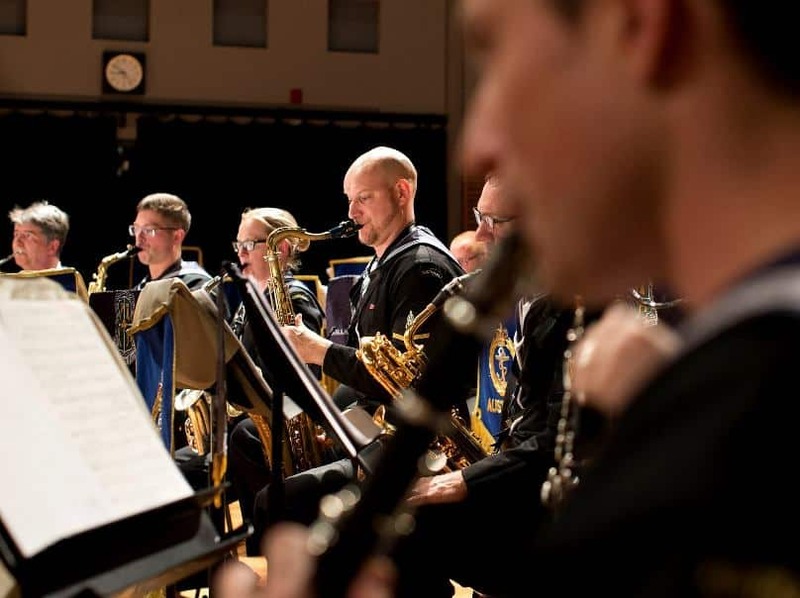 Students and staff of the University of Notre Dame will be treated to a lunchtime concert by members of the Royal Australian Navy Band next week. Featuring the band’s Commodores Chamber Ensemble, the concert will include the Clarinet Quartet playing Variations on Colonel Bogey and Waltzing Matilda, as well as the Woodwind Quintet playing Nielsen’s Wind Quintet and Ibert’s 3 Short Pieces. The Royal Australian Navy Band in Sydney comprises about 50 full-time musicians in addition to Naval Reserve Musicians as needed. They are directed by Lieutenant Matthew Klohs. Members of the Sydney and Melbourne Bands have participated in a number of overseas deployments including to the Middle East, Turkey, Timor Leste and the Solomon Islands, aboard Royal Australian Navy ships, and to musical gatherings including military tattoos in Brunei, the United Arab Emirates, China, Hong Kong and the Royal Edinburgh Military Tattoo in Scotland. The concert kicks off at 12 noon on 20 October at the Darlinghurst campus.